Explore this extensive resource page on St Herman at the website of my home parish, Christ the Savior-Holy Spirit, in Cincinnati, Ohio, Fr. Steven Kostoff, rector. An “Ikos” is similar to a stanza in a poem. “Akathist” is a Greek word which literally means, “not sitting.” The traditional form of an Akathist Hymn (poetic outpourings of praise exalting the Lord Jesus Christ, His Mother, or the Saints) consists of twelve sets of ikos and kontakia (a form of descriptive hymnography), with additional prayers and hymns, often framed within the service of Compline in parish use, and at least prefaced by the traditional Trisagion Prayers of the Orthodox Church if chanted privately. The recognition of a saint in the Orthodox Church begins informally, typically through local veneration (by laity as well as clergy) of a righteous man or woman known and beloved for their holy way of life, their faith, their contribution to the building up of the Church, their imitation of Christ’s love, etc. There is no required number of miracles to be confirmed or formal investigation undertaken, but rather, the local veneration of the righteous one expands to the point that the Church of that region recognizes what the Holy Spirit has revealed through the devotion and popular piety of the faithful. 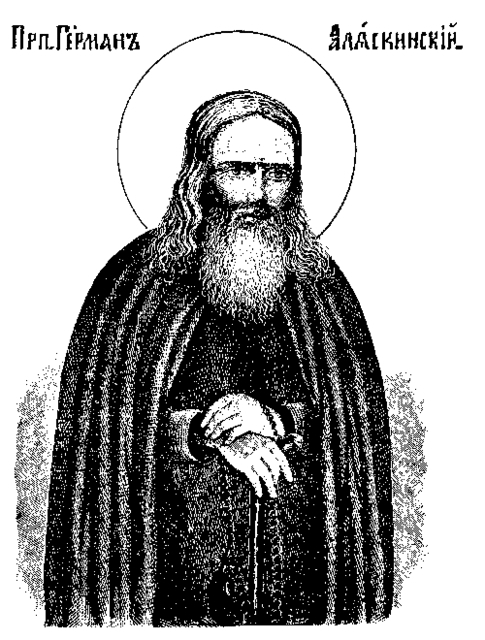 The Church affirms the sanctity of the Saint, ultimately performing a service of “glorification.” St. Herman was glorified and entered into the calendar of saints in dual services in 1970, by the Russian Church Abroad (through services held at the ROCOR cathedral in San Francisco, and by the Orthodox Church in America (at services held in Alaska). I recently read the life of this saint. Thanks for describing the process for declaring sainthood.Is there a 100 years time that needs to pass first? I heard that once.